Hot on the exhaust trail of our A9 release and the inevitable hotfix, we are very excited to make some announcements today about upcoming events in the Squad timeline. In conjunction with pivoting our team into Alpha 10 release, we wanted to bring some more content to the player base and open up the game to a greater audience before the completion of our core feature set. Huge shout out to the original creator Duckhunt from the Project Reality team and the Redux creator, our very own community modder ChanceBrahh. This map gives Squad its first significant dive into urban combat with an expanded urban footprint and a wider surrounding play area. With buildings as large as six stories high and completely enterable we expect to give a hard shake to the US forces dominance meta as insurgents can be anywhere in the city. 100s of windows potentially bristling with RPG rounds ready to spoil the infidels’ day. Without any further delay, we offer you this trailer to get you ready! In response to the popularity of the original soundtrack, Scott Tobin has been hard at work and is happy to bring you volume 2 of his Squad soundtrack. Sometime next week we will offer volume 2 for free to anyone that already owns the original soundtrack, and we will be bundling the two soundtracks together for sale. As part of an enhanced audiophile experience, Scott has also added full fidelity FLAC versions to the packages for both soundtrack volumes. Please join us in welcoming all the new soldiers to the battlefield April 6th - 10th and helping our new wave of players not absorb too many bullets! As always the best advocates of Squad are you guys, grunts and squad leaders alike! YES! Amazing work, finally a city desert map. Thank you! Oh boy, that new map looks SO awesome. Great work! Get it in...It's gonna be epic. Nice to see ChanceBrah's work being recognised officially. As for the free weekend. With all the big changes coming in v10 (animations, coreinventry) I'd of though it better to have the free weekend to show new players how is going to be then. OH man, this is dope. Please make this map available for the insurgency game mode aswell. It would be the best. OMG the map looks amazing!!! I can't wait for Saaremaa and Vadso (And Muttrah) City. Qwai River was easily my favorite (and first ever PR) map. Thank you guys from myself and the rest of the team. Looks incredible, can't wait to set my virtual foot on it! Time to spit new blood HAHAHAHAHA!!!! Kokan already being in the game isn't "official"? Please create an "Insurgency" version (game mode) of Al Basrah (the new map) prior to the free weekend! Don't be the kind of developer which doesn't have all game modes for every map. Having worked in UDK and UE4, I do understand the QA time it can take to bugshoot additional game modes but it pales in comparison to creating something from the ground up and the majority of your content is already there! Repurposing PAAS or AAS to Insurgency would double your playable content! As is, you still have four other maps (eastern Europe) which don't have Insurgency maps!?! EDIT: Aside from my concern about lacking game mode versions, I'm seriously looking forward to Squad OST Vol. 2 .. I bought the first and intend to buy the second on release! Wow, when I saw this post at work I literally had the biggest grin on my face. Seriously though, I did not see this coming! 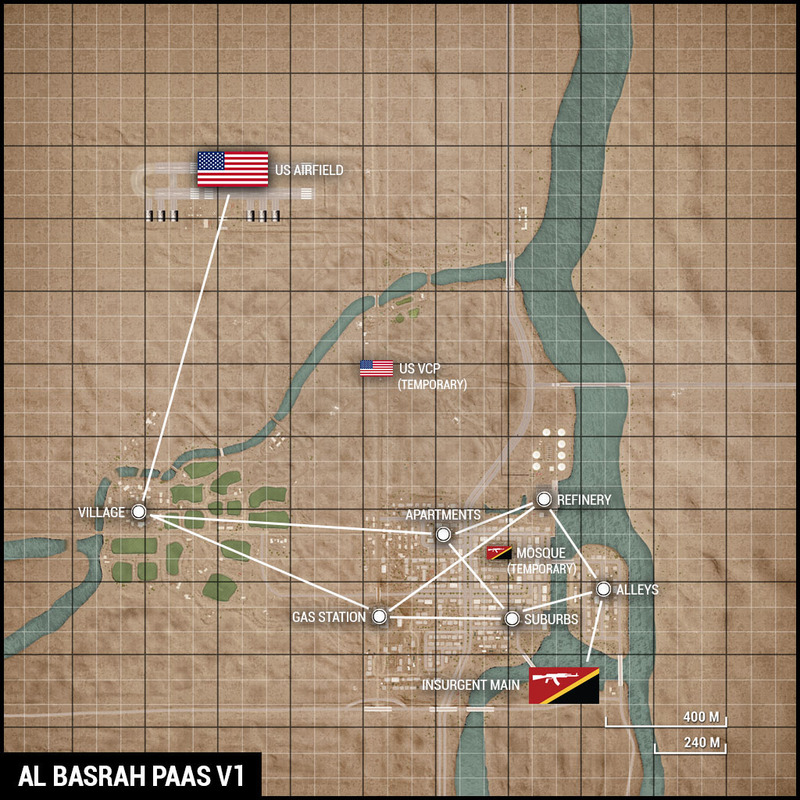 I can't wait to play Al Basrah!